Nikon launched a bunch of new Coolpix compact digital cameras last night. Among those cameras was the P7100, the latest incarnation of their high-end, full-featured rangefinder-style compact. The Nikon Coolpix P7100 has a large, 1/1.7-inch, 10.1-megapixel CCD sensor and captures 720p HD video as well as still photos. It has a 7x 28-200mm f/2.8-5.6 (equivalent) VR zoom lens with two ED elements and a built-in neutral density filter. For composing and review the P7100 has a tilting 3-inch LCD display and an optical viewfinder, a rarity for compact digital cameras these days. Nikon’s press release says, “Emphasis on the Image,” and better image quality is always nice. But more significant for a high-end compact camera are the P7100′s improved speed and performance, including startup, shot-to-shot time and better auto focus. 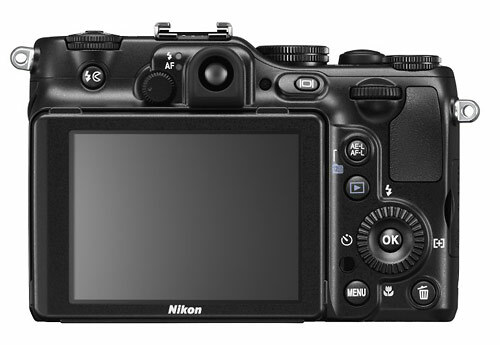 For the most part, the basic specs and features of the Nikon Coolpix P7100 remain the same as the P7000. The sensor, lens, processing and ISO range all appear to be nearly, if not exactly, the same. The important changes to the P7100 are all internal. 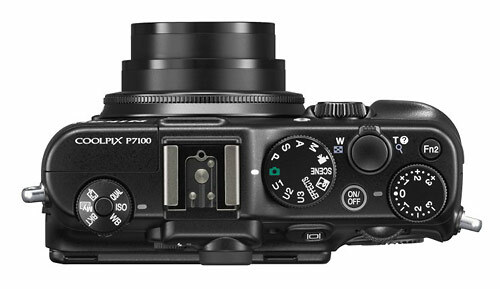 The official P7100 press release says, “With blazing fast start-up, imperceptible release lag and enhanced shot to shot buffering, the P7100 promises to be ready at a moment’s notice.” Camera speed has long been one of the areas where compact cameras had the most room for improvement. So if the P7100 is a lot closer to a digital SLR in terms of reaction time, that’s excellent news. Unfortunately, at 1.2 frames-per-second, one spec that doesn’t measure up is burst speed. Since I shoot a lot of outdoor action sports, burst speed is a big deal for me. I’d like to see a camera like this have a minimum burst rate if 3 frames-per-second and 5-FPS is really the minimum for serious action photographers. The Nikon Coolpix P7100 also has a, “new enhanced AF system for tack-sharp images in a variety of lighting conditions… the result is amazingly fast focus acquisition that is consistently sharp throughout the entire focal range, even on a moving subject.” Any improvement in auto focus performance is welcome for compact cameras. The contrast detect auto focus systems used in compacts have traditionally been pretty weak. However, Olympus is claiming the world’s fastest single-shot auto focus for their new E-P3, which has contrast detect AF. That proves that better performance is possible and it would be wonderful if Nikon has really improved it – especially for continuous auto focus, which is the real weak link in contrast detect auto focus systems. Nikon is billing the new P7100 as an, “ideal camera that advanced photographers will seek as a companion to their D-SLR camera when both portability and superior image quality are a necessity.” With full manual exposure controls, a large sensor (for a compact camera), great zoom lens and a flash hot shoe with Nikon Creative Lighting System compatibility, it’s certainly built for serious photographers and pros. However, I’m going to offer the same criticism as I did last year when Canon announced their G12 high-end compact: as good as the P7100 might be, this type of camera is an anachronism. With all the excellent compact system cameras from Sony, Panasonic, Olympus and Samsung, I don’t see the point of cameras like the P7100 anymore. Unless Nikon has worked some serious magic on the P7100′s small 10-megapixel CCD sensor, even the lowliest Micro Four Thirds camera has a larger sensor and better image quality. For about the same amount of money you can have a comparably sized interchangeable lens camera with better performance and image quality. The Nikon Coolpix P7100 should have been a mirrorless camera. 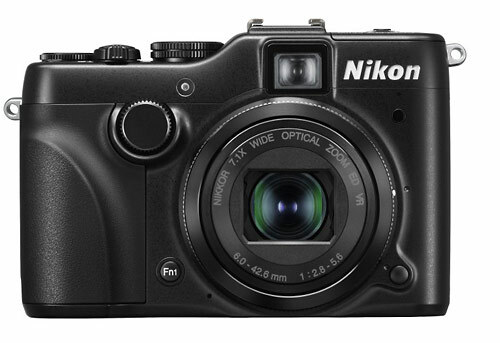 I have no doubt that the Nikon Coolpix P7100 is a great compact camera and that Nikon owners will snap them up. But when you compare it to everything that’s currently available, I believe it falls short of the competition. 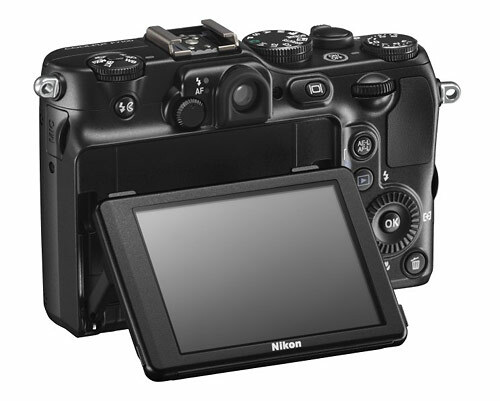 The Nikon Coolpix P7100 should be available in September at a suggested retail price of $499.95.